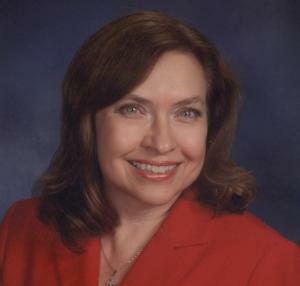 Rosemary Shumski is the Administrative Assistant for the Department of Christian Education. As a part of her duties, she serves as the Departmental Assistant for the Creative Festivals and is responsible for coordinating the Festivals on the Archdiocesan level. Rosemary has also served as the Photography Coordinator for the Eastern Dioceses since 2002. Rosemary is a graduate of Bloomsburg University and was previously employed in business management. Married to Dn. John Shumski and the mother of three grown children, Rosemary is active at St. John Chrysostom Orthodox Church in York, PA, where she has taught Sunday School for seventeen years. Recently, Antiochian.org asked her to tell us more about our Archdiocese's unique and successful Creative Festivals program. Tell us about this year's theme for the Festivals: why was it chosen, and what is its significance for the Church today? The 2016 Creative Festivals theme is “As for me and my house, we will serve the Lord.”(Joshua 24:15) This is the first theme chosen by His Eminence Metropolitan Joseph. Typically, the Department of Christian Education and the Department of Youth Ministry offer the Metropolitan various theme suggestions each year, but the final selection is made by the Metropolitan. There is much that can be said about this theme and how it impacts our daily lives. Because we have free will, we have to make the choice whether or not to serve God. God doesn’t force us to follow Him; but if we truly love God, we will want to worship, obey, and serve Him. Mary and Joseph brought Jesus to the Temple when He was 40 days old and dedicated Him to God. The Temple held the highest and most important place in their lives. Can we say the same thing today? Is the Church the most important place in our lives or are we serving other "gods" that take precedence? Over the years, the Festivals have become increasingly important to the Archdiocese. Can you explain for us the purpose and goals behind them, and the significance of their contribution in the life of our communities? The Creative Festivals were originally instituted by His Eminence Metropolitan Philip of blessed memory, in order to enable church school students to learn more about their faith, become closer to God, and provide them with an avenue to express their faith in a creative milieu. Our basic goal, stated at the beginning of every lesson plan we provide, is “to help the students understand the theme well enough to express it in art, photography, poetry, and creative writing.” The emphasis should not be placed on winning an award, but rather, on understanding the theme and enjoying the process of creating an artwork, taking a photo, or writing a poem or essay. We also encourage parishes to have their own art, photography, and writing exhibits so those parishioners who may not be able to attend the Parish Life Conference will still have the opportunity to appreciate the students’ efforts. Which Festival resources from Christian Ed would you like to highlight for us? Because students learn in many different ways, we provide numerous resources for the church school director and teachers to utilize. Ideally, we would like to see these resources integrated into the curriculum throughout year. In fact, each year we provide a document entitled, “Using the Theme Throughout the Year” which lists craft ideas, activities, and websites, just to name a few, all pertaining to the theme. Perhaps the most important resources we provide are the original lesson plans that are written each year for various age levels: preschool to kindergarten, grades 1-3, 4-6, and middle school/high school. For those students who are auditory learners, we provide one or more theme songs each year. If there is an appropriate piece of liturgical music that’s relevant to the theme, we will use that, but more often that not, one or more original songs are written and recorded. In addition every year, posters are also provided on our website which can be downloaded and printed in order to emphasize the theme, and give students ideas as to how they might depict the theme. All of these resources and more can be found on the sidebar of our website. What are the most important things teachers and youth workers should be aware of, in this time of preparation? What can they do to make sure their parishes get the most out of the Festivals? The first thing I would suggest would be to plan for the Festivals and begin working on them as early as possible. If parishes haven’t begun implementing the Festivals yet, it’s not too late, but it’s always helpful to have a plan with a timeframe in mind and actually schedule when and how your church school students will create their entries, since they must be postmarked by April 1st. I also think it’s important to have our pastors, church school directors, teachers, and parents, encourage all students to participate in the Festivals in at least one or more of the categories. Find people in your parish who may be artistic, or have an interest in writing or photography. Set up a station for each of the Festivals so the students can receive some guidance. Try to get as many people involved in the Festivals as possible. Make it a group effort, instead of expecting the church school director to handle everything. From your perspective, what are the rewards for parishes who participate actively in the Festivals? The Festivals can provide a wonderful learning opportunity for everyone. In order to properly instruct the students, church school directors, teachers, and parents, must first learn about the theme. The students receive an enhanced understanding of their faith from their instruction and also through the process of creatively expressing the theme. The parish as a whole is then enriched by the students’ artwork, photography, and writing.